Cheesy? No, that dragon is awesome. But a green dragon in a desert? Really? Now we know why they went out of business. Dragons don’t need water, only treasure. Back in 1964-1965, these monsters were called “dungion demons” Sold in bag sets, as well as giveaways with a six pack of fritos corn chips. 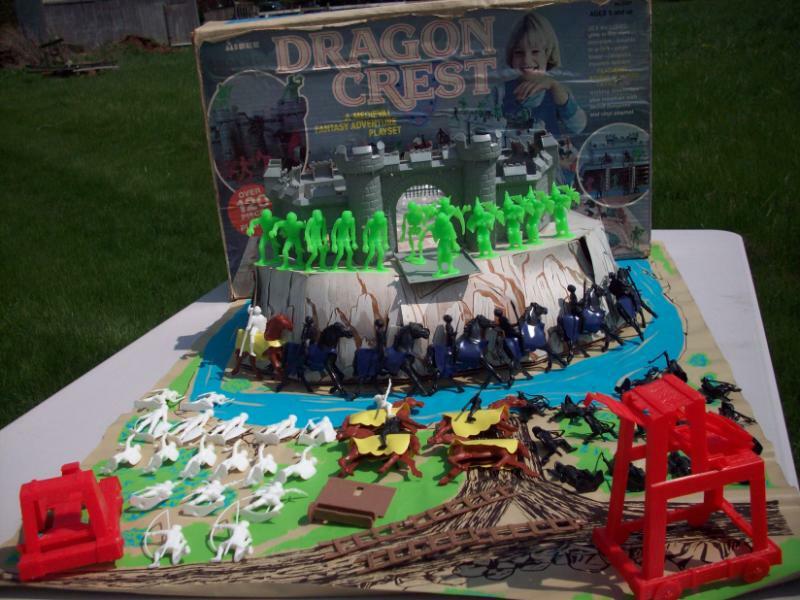 Multiple Products Corp started up about 1954 with a Canadian subsidiary Multiple Toy Makers. 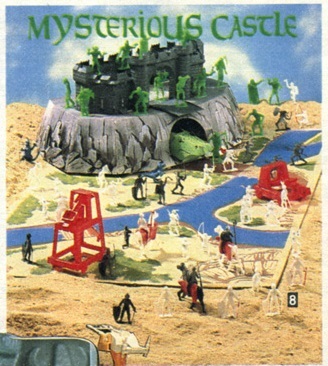 Eventually the Multiple Toy Makers name was used on US product as well. In 1965 they sold out to the Loral Corporation who was in the space industry and decided to branch out. Product was marketed as MPC a division of Loral Industries and the Multiple Toy Makers name might also be on the package. In 1968 realizing they were out of their element Loral sold MPC to Miner Industries. Packaging would now say MPC a Division of Miner Industries and the Multiple Toy makers name might also be on the package. In 1979 Miner filed for bankruptcy emerging with new partner Toy Major (or Union Major). The Multiple Products Corp. & Multiple Toy Makers names were no longer used (perhaps a bankruptcy condition). Some packaging might have one or both names Miner Industries and or Toy Major. Some packaging had nothing. 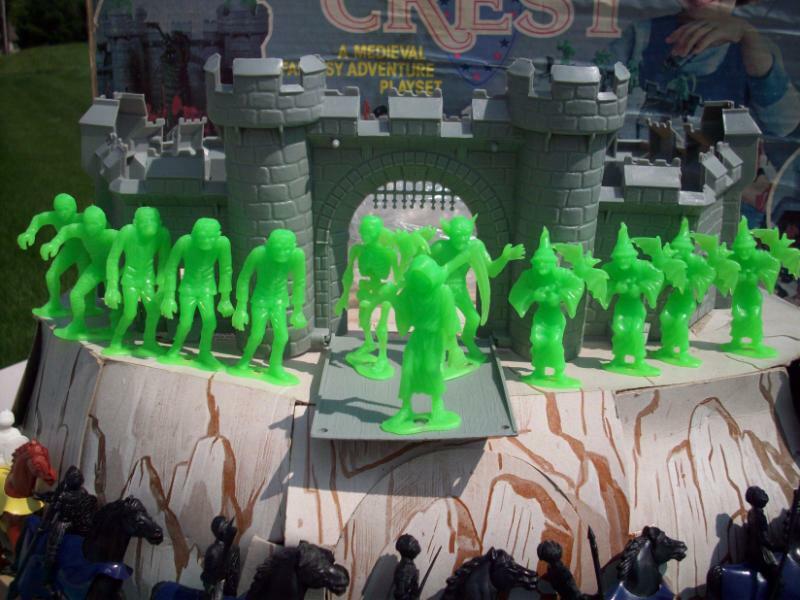 They went out of business about 1985 and American Plastic run by Jay Horowitz bought many of their molds (he also bought many of the exMarx molds) and started ReMarx which lasted into the mid 1990s.